Italy is a synonym for culture, art, and history. The artistic and cultural heritage of Italy is one of the most valuable in the world. Italy has more cultural UNESCO World Heritage Sites than any other country. Rome, Florence, Assisi, Venice, Siena, Pisa, and Naples are its most renowned cities of art, but the whole country can boast towns of breathtaking beauty, as these numbers demonstrate: 95,000 monumental churches, 40,000 forts and castles, 30,000 historical residences with 4,000 gardens, 36,000 archives and libraries, 20,000 historical cities and towns, 5,600 museums and archaeological sites, and 1,500 convents. Italy boasts world famous museums such as the Uffizi Gallery in Florence, the Capitoline Museums in Rome, or the Brera Art Gallery in Milan; and impressive archaeological sites, such as Pompei and Herculaneum. Italy offers a rich combination of masterpieces from different areas, blending landscape and culture, history and art, architecture and city planning offering a journey through time, from the Ancient Greeks and Romans to the present day. Besides art and history, Italy's rough and wild environment is also a highlight. There are many national parks well worth exploring : the Gran Paradiso, Circeo, Stelvio, Dolomiti Bellunesi, Gran Sasso and Monti della Laga, Cilento and Vallo di Diano, and Gargano National Parks, the parks of Calabria and Aspromonte, the Maddalena and Tuscan Archipelagos, the Vesuvius, the Cinque Terre National Parks, and many other protected areas, nature reserves, and marine parks. Italy has immense valleys surrounded by green fields, amazing mountain spires emerging through white clouds and clean waters. From the Dolomites, Alps of Piedmont, the Alps of Veneto to the Apennines, the landscape eventually reaches the impressive profile of Etna in Sicily. Italy boasts around 8,000 km of coastline, lapped by the waves of the Mediterranean, the Adriatic, the Tyrrhenian, the Ionian, the Ligurian, and the Sardinian Seas. From north to south, stretches of sandy beaches alternate with jagged shorelines and sheer cliffs that plunge into the sea. Italy has always been a synonym for good food, offering an unmistakable explosion of flavors, scents, and aromas. Aside from having one of the most famous cuisines, it also proposes an immense variety of different regional dishes and recipes. Italy debuted in Miss World 1964 and finished in second place in 2000 with Georgia Palmas. The spectacular Nunziata Tania Bambaci will try to become Italy's first Miss World in London, England. The Times of Beauty proudly presents Nunziata Tania Bambaci, Miss Mondo Italia 2011, in an exclusive interview for our interview series, Meet the Misses. My name is Tania Bambaci , I’m 21 and I represent Italy at the 61st Miss World finals. I was born in Italy, and I live on an island of extraordinary beauty: Sicily, the biggest island in the Mediterranean Sea. I live in the province of Messina where we can boast about our stunning Aeolian islands for their beauty and uncontaminated sea, our active volcano Etna, and last but not least our fantastic cuisine. I’m studying foreign languages and literature at Pisa University, where I live with my brother. I’ve got two brothers, one older with whom I live with in Pisa, and one younger than me. With both of them I have a great relationship. My parents are very special people. They’re my teachers of life, and I’ll never stop being grateful to them for the fantastic upbringing they've given me. They have taught me the values and morals that makes me the person I am. My father is a successful businessman and my mother has one of most beautiful job, she is a housewife and a mother, and she takes care of her family wonderfully . I really love traveling, visiting new places and learning about different cultures, for this reason I’ve chosen to study foreign languages. In fact, one of my many dreams is to be able to speak lots of languages. In my free time I love going out with my boyfriend and friends. I like going to the gym, singing, and I absolutely love cooking for my family and friends. 2.Tell us a bit more about your country and hometown. I live in a beautiful country with a fantastic climate and wonderful food, Italy. It is also called Belpaese (Beautiful Country), and it’s one the few countries that has all the sensory pleasures on Earth. From art to food, from stunning and varied countryside to flamboyant fashion, Italy has it all. It is a peninsula in Southern Europe which extends into the Mediterranean Sea. Italian people are warm, generous and family oriented and extremely good looking! It is the home of the Italian Renaissance where the world's greatest artists originate. It is also the birthplace of opera and has the famous La Scala Opera House where the finest singers have performed. I love Italy for all these things. It has got two islands, Sardinia and Sicily where I live. 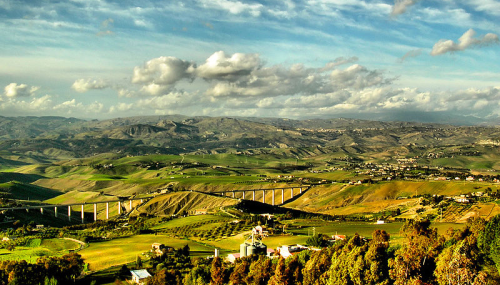 Bedda, the Sicilian word for beautiful, is the way we, the Sicilians, describe this place. I was born in a town on the north east coast of Sicily, called Barcellona. It is a beautiful place with stunning landscapes and seascapes. From crystal clear sea to a snow topped volcano, Etna. Sicily over the centuries has been invaded by many different cultures such as Greeks, Romans, Arabs and Normans and their influence can still be felt and seen in our cuisine and architecture. "To have seen Italy without having seen Sicily is not to have seen Italy at all, for Sicily is the clue to everything." (Johann Wolfgang von Goethe). 3. What does it mean to you to represent your country at the 61st Miss World finals? It’s a great honor and with pride I represent my country in this competition because there are a lot of very beautiful girls from all over the world and I’m the only girl representing Italy. This is a dream come true. I think that it will be a fantastic experience, because I will have the opportunity to meet people from different cultures, with their different traditions and lifestyles. This doesn’t happen every day. So I know that I am a lucky girl, and that there are a lot of people that would like to be in my place. I’d like to thank all the people and above all my family who permitted me to do all this with their support and encouragement, also the Miss World Italy organization. 4. If you have to choose a song to describe yourself, which would you choose and why? I love all types of music, because I think that it is one of the most moving arts. In particular I listen to Lucio Battisti, Mina, Celentano, Pavarotti and Morandi. These are some of the biggest Italian artists. But, there is one song which I like particularly, The dream is a Wish your Heart Makes from Cinderella. This was my favorite cartoon and when I was a child my mother used to sing it to me every night to make me fall asleep. This song describes me, because I’m a dreamer, and I think that if a person wants their dreams to come true, they must really believe it and never give up trying to fulfill it! 5. How would you describe a typical day in your life? I get up early in the morning and after I have had my breakfast I help my mother with the household chores and daily running of a home, if I have enough time! A typical day in my life is very busy among singing lessons, studying and working. It is full of emotions because my day varies and I always try to do something different from the day before. I hope that I will be able to achieve my career goals: to become a famous actress and model, and above all become an independent woman. But most of all I’d like to be a mother and a wife, being Sicilian the family is a very important to me so I hope to have a lot of children. 7. Which well known person from your country you most admire and why? I really admire Sophia Loren because she began her career participating in a beauty competition, and although she didn’t win, with her talent and beauty she has become one of the most important actresses in the world. She is universally regarded as one of the most famous actresses in film history. She was born in Italy in 1934, in the 1950’s she started her career and in a few years she became a respected actress all over the world, especially after the film La Ciociara by Vittorio De Sica, thanks to which she won an Oscar for Best Actress in 1962. 8. If you had to choose any other country to live in, which one would you choose and why? I really love traveling, meeting new people, learning about different habits and cultures, and seeing new places completely different from those where I live. In fact I have been lucky to have seen a lot of countries like Spain, USA, Greece and others. I would like to choose between USA, UK or Spain because there I could improve the languages I study. 9. After the Sendai Earthquake, nuclear energy has become a focus of attention. Are you in favor or against the use of this kind of energy as a way to reduce the dependence on oil? This is a hard question because like all things, nuclear energy has got some advantages and disadvantages. I don’t agree with the use of this kind of energy because although it’s true that it can reduce the dependence on oil, I think that it could cause serious dangers in unforeseen circumstances like naturals events. 10. What do you think is the worst kind of human injustice or prejudice happening now? I think that the worst kind of human injustice is that there are a lot of people in 2011. who can’t lead a normal life because they are disabled. I find it hard to believe that with all the progress that man has made, there are still situations of normal life in which they have many problems. I have been occupied in a national campaign giochi senza barriere as a testimonial to abolish architectural barriers and due to my involvement I have had the opportunity to witness with my own eyes that psychological factors and people’s prejudices can be a bigger obstacle than the physical barriers in some cases. I can really say that there are only a few people that are trying to change this situation. It isn’t possible that in 2011 a disabled child can’t go to school, to a public place or carry out other everyday situations of normal life, because there aren't suitable structures or they are prevented from access to buildings. They are people like us, and they should have a life like our life. The right to have freedom of movement is essential in the life of every man and we should do everything to ensure this to as many people as possible. 11. What are your duties as Miss Mondo Italia? One of my duties as Miss World Italy is to be an example to follow. Represent my country with the best of my ability, with those values that distinguish all Italians, like simplicity, verve and determination. The only thing that I hope to do, is represent Italy with success in the Miss World finals. 12. What role can social media (ex. 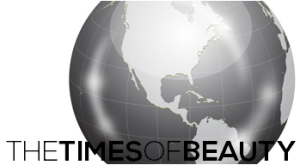 Facebook, Twitter, etc) play in the life of a beauty pageant titleholder? I think that social networks like Facebook, are an important way to communicate with all the people that follow and support me. I can keep them daily updated on my activities and events. I can keep in touch with people from all over the world, and with my relatives who live in a different country, I can see that they encourage me and this is fantastic. Although a sensible and wise use of social networks is always necessary. 13. What does it mean to be a human being? To have the opportunity to live life intensely every day. To rejoice, to suffer, to live, to be. The most important thing is to be able to create future lives. 14. What do you feel is your purpose in life? My purpose in life is to be a good daughter, friend, wife and mother, to use all my best endeavors to enrich my dream to become a model and an actress, but above all to look back at my life and be satisfied and pleased for all I have done. Personal Motto: Don't talk about people if you can't talk well about them. Personal Goal: To achieve a great level in all efforts, family included. Favorite Song: "The dream is a wish your heart makes"
Favorite Movie: "The boy in the striped pyjamas"
Favorite Book: "Letter of a child never born"